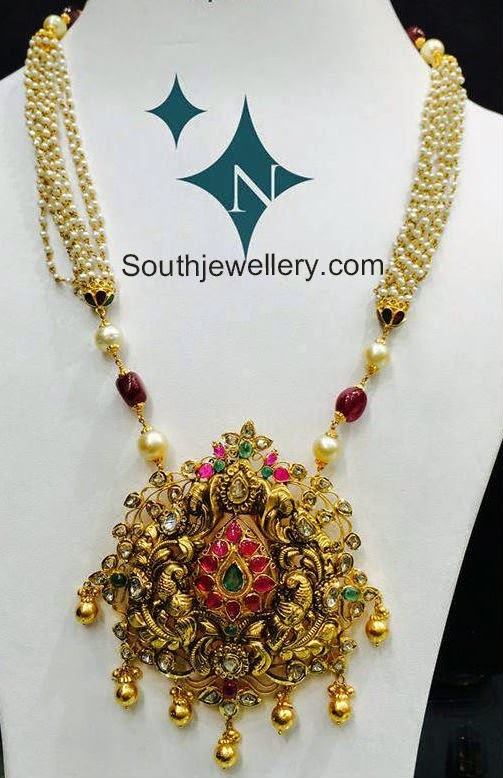 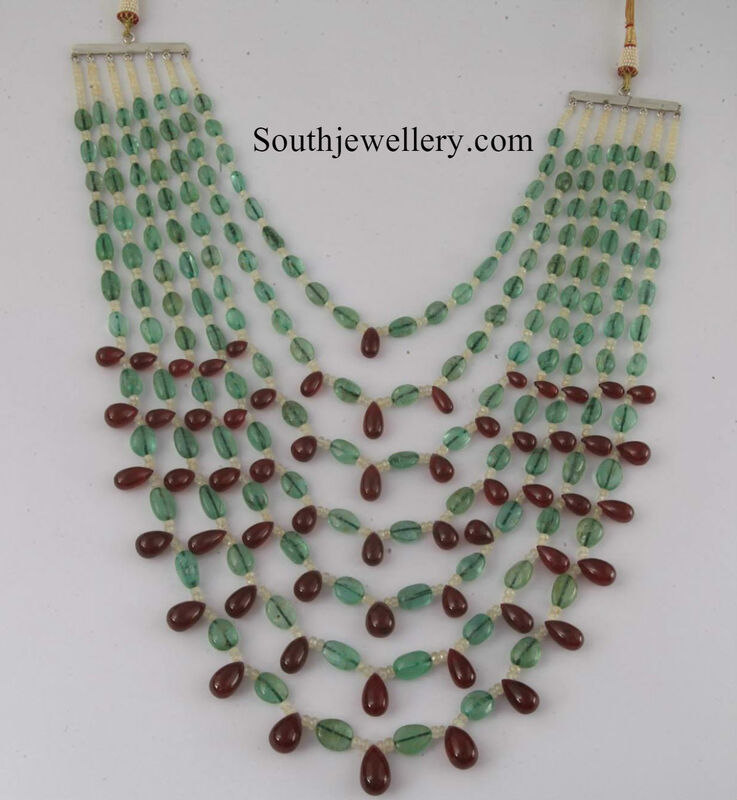 22 carat gold designer necklace with small basara pearls arranged in netted pattern and ruby beads hanging at the bottom. 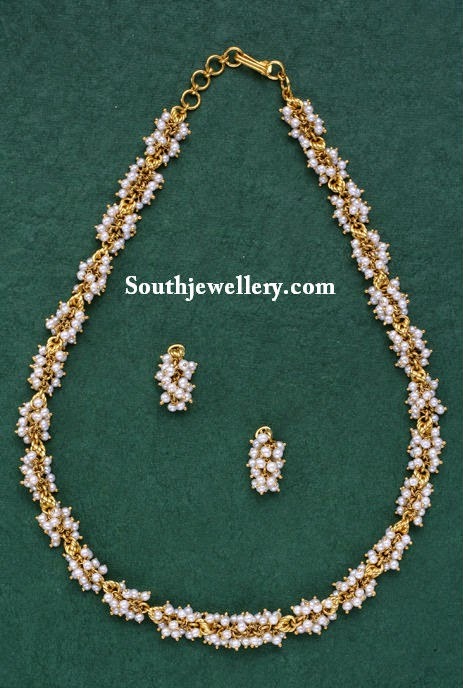 It is paired up with matching designer jhumkas. 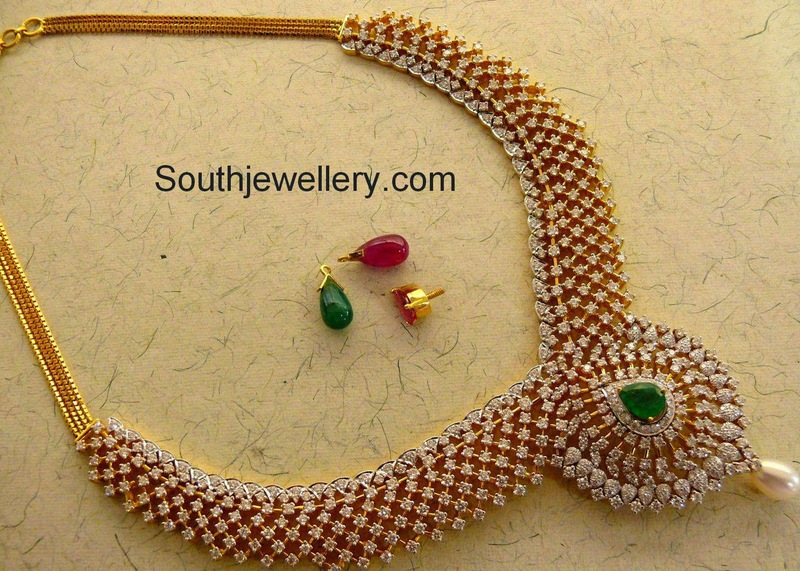 Celebrity in guttapusalu haram with pearls, ruby beads and emerald beads. 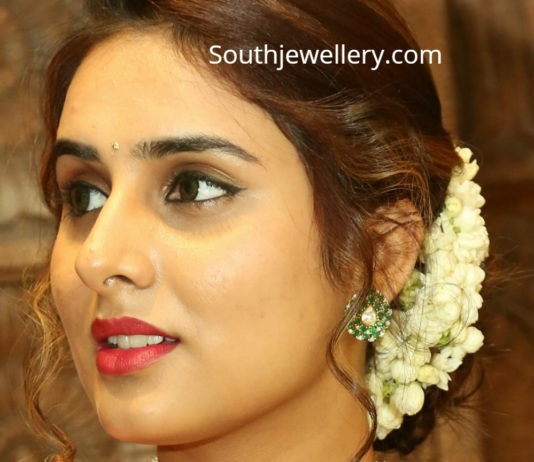 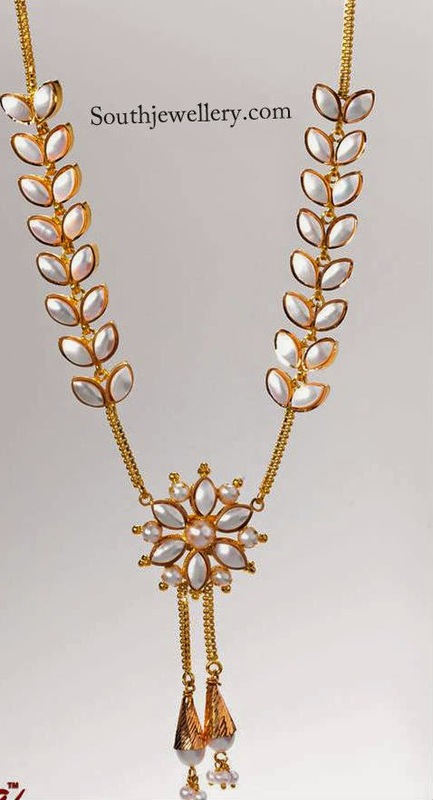 Polki diamond necklace set by Kalasha Fine Jewels, Hyderabad.